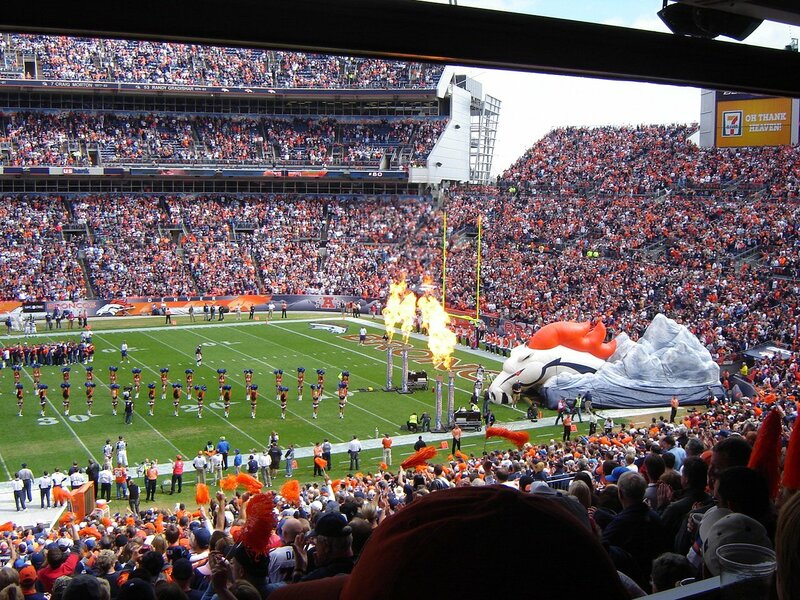 Yesterday I had the privilege of attending my first Broncos football game–ever. Come to think of it, it was my first professional football experience as well. Of course, I have a few things to say. #1. 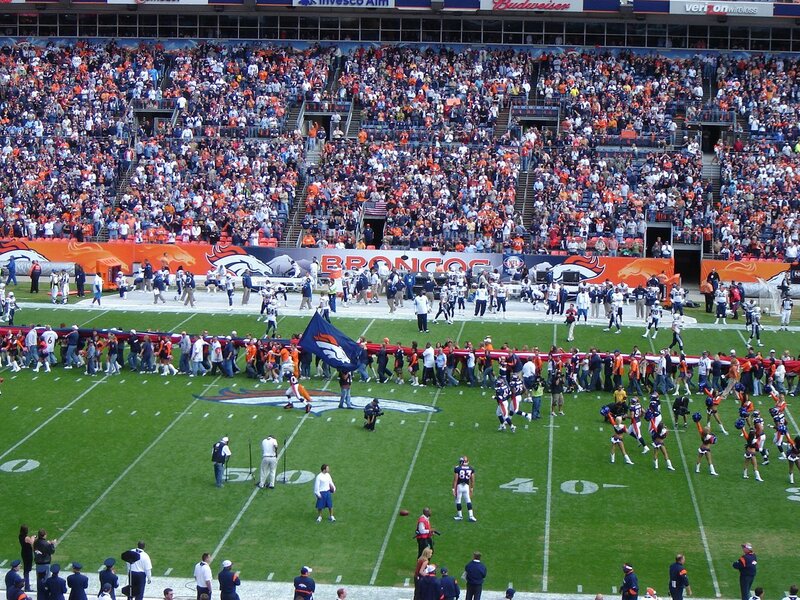 A person really feels out of place at a Broncos game when not wearing any form of Broncos paraphernalia. However, I hate wearing orange, and I’m not even super fond of that particular shade of blue, so I wasn’t feeling too sorry for myself. Maybe next time I’ll just wear white; my pink shirt definitely stood out. #2. As a pretty impartial observer (I don’t really care about professional sports at all), I found the hoopla of it all fairly interesting. It would be fun to analyze all of the hype and try to better understand that crazed look in peoples’ eyes when the mascot runs across the field. I think he looks silly, but apparently everyone else (i.e. Broncos fan) have some sort of incredible affinity for him. #4. Football is so much more exciting to watch than baseball. I never realized this before. #5. I love my husband. Yes, this realization struck again. He was watching the cheerleaders and he said, “They all look so much alike … they cancel each other out.” Ha! Made my day. #6. It’s really easy to get caught up in the thrill of the game. Granted, the announcer said that yesterday’s game was probably the most exciting one in Invesco’s history thus far, but I also felt that even a dull game can draw people in and make them love football. #7. I started the day as an impartial, slightly detached viewer. I moved into my usual position of observing, labeling, critiquing and analyzing. But, somehow, sometime, I crossed over. I may never purchase orange clothing, or get one of the “Broncos Country” bumper stickers, but I might just have had an awakening. Football is the quintessential American sport. It draws us together–no matter what our background, income, political views, ethnicity or status–and makes us a family. I now have a better appreciation for the American spectacle we all call football. This entry was posted in On Discovering and Enjoying Colorado. Bookmark the permalink. I’m so jealous! I’ve never been to a professional football game. I’m not that big of a sports fan, but I still think it would be fun to go sometime! And I love your husband’s comment about the cheerleaders — hilarious!